Harajuku teen wearing a vintage red dress, open toe ankle strap heels, an LV crossbody bag, layered necklaces and cute colorful rings. 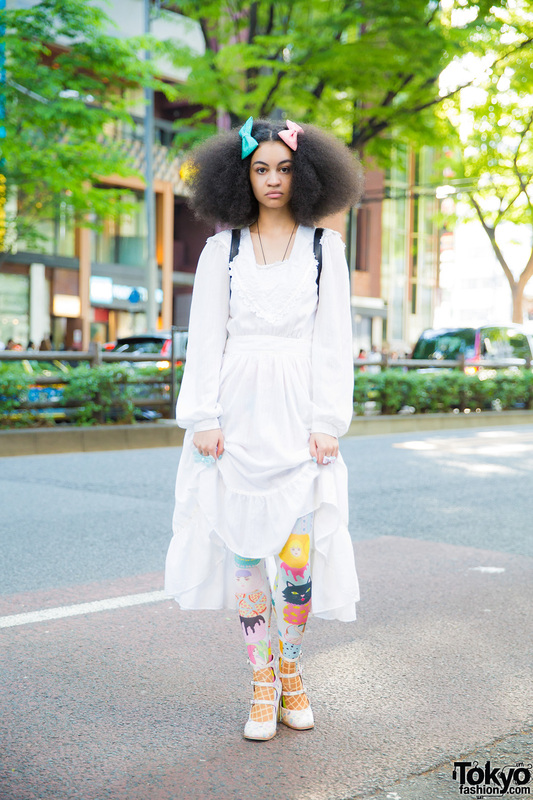 Vintage white dress, printed tights, strappy shoes, and kawaii accessories on the street in Harajuku. Cute Harajuku girl wearing a vintage floral print dress, black tights, metallic pointy loafers and a pink box handbag.